NEW YORK, Jul 30 2014 (IPS) - Amidst an exodus of some 100,000 people from the conflict-torn eastern Ukraine, ongoing fighting in the urban strongholds of Donetsk and Luhansk between Ukrainian soldiers and separatist rebels, and talk of more sanctions against Russia, it is hard to focus on the more subtle changes taking place in this eastern European nation. But while global attention has been channeled towards the political crisis, sweeping economic reforms are being ushered in under the leadership of the newly elected president Petro Poroshenko, who recently brokered deals with the World Bank and International Monetary Fund that have rights groups on edge. After years of dangling a 17-billion-dollar loan – withheld in part due to ousted President Viktor Yanukovych’s refusal to implement a highly contested pension reform bill that would have raised the retirement age by 10 years, and his insistence on curbing gas price hikes – the IMF has now released its purse strings. Ukraine is the world’s third-largest exporter of cotton and the fifth-largest exporter of wheat. Agriculture accounts for about 10 percent of gross domestic product (GDP), with vast fields of fertile soil yielding bumper harvests of grain and cereals each year. According to a 2013 forecast by the U.S. Department of Agriculture, Ukraine is poised to become the world’s second biggest grain exporter in the world (after the U.S.), shipping over 30 million tonnes of grain out of the country last year. The World Bank estimates that farmers and agricultural workers made up 17 percent of the country’s labour force as of 2012. And according to the Centre for Eastern Studies, agricultural exports soared in the last decade, from 4.3 billion dollars in 2005 to 17.9 billion dollars in 2012. Lush soil and a rich agrarian culture do not immediately add up to nationwide dividends. Potential investors have cited“red tape” and “corruption” as hindrances to development, as well as a communist legacy that forbids the sale of land. 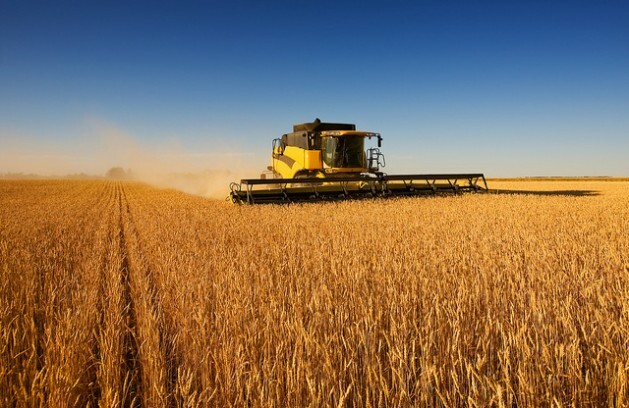 But the past decade has seen an abrupt change in Ukraine’s agricultural sector, with foreign investors and agri-business hugely expanding ownership and influence in the country. A deal brokered between China and Yanukovych prior to the political crisis – now disputed under the present regime – granted Beijing control over some three million hectares of prime farmland in the east, an area about the size of Belgium that totals five percent of Ukraine’s arable land. Such statements have raised a red flag among researchers and trade watchdogs. “Ukraine is also one of the 10 pilot countries in the World Bank’s new Benchmarking the Business of Agriculture (BBA) project,” Mittal told IPS, referring to a brand new initiative, still in the development stage, which is connected to the Bank’s controversial Doing Business rankings. This index has been criticised by numerous groups including the International Trade Union Confederation (ITUC) – comprised of over 176 million members hailing from 161 countries – for favouring low taxes for transnational corporations and lowering labour standards in developing countries as a means of attracting foreign investment. The Bank itself says the BBA will largely serve as a tool for improving agricultural output. “The world needs to feed nine billion people by 2050,” a World Bank spokesperson told IPS. “For small-scale farmers to be more productive and far more competitive, they need access to land, finance, improved seed, fertiliser, water, electricity, transport and markets. “By identifying and monitoring policies and regulations that limit access of smaller producers to these critical components of success, BBA is being designed as a tool to foster an enabling environment that boosts local and regional agribusinesses,” she concluded. “The BBA project seems to support the construction of a transparent and inclusive system of agricultural regulation, something Ukraine lacks,” Sedik added. But the OI report’s co-author Frédéric Mousseau says initiatives like the BBA and others exist primarily to pry open Ukraine’s doors, hitherto sealed by its socialist traditions, to foreign capital. “These reforms sound good on paper, but when you look more closely you see they are actually designed to benefit large multinational corporations over workers and small-scale farmers,” Mousseau told IPS. Research into the impacts of the Bank’s ‘Doing Business’ rankings in eight countries – including Mali, Sierra Leone, Sri Lanka and the Philippines – has yielded similar results: sharp increases in foreign investments and land-grabbing in a bid to appear more ‘business friendly’. Further, Mousseau said, arrangements such as the Association Agreement between the European Union and Ukraine offer glimpses into an agricultural future steered by corporate interests. Such clauses, experts say, could strengthen existing initiatives such as Monsanto’s Ukraine-based ‘Grain-basket of the Future’ project (which offers 25,000-dollar loans to rural farmers) and Cargill’s 200-million-dollar stake in UkrLandFarming, the eighth largest land cultivator in the world. These developments give weight to the title of OI’s report, ‘Walking on the West Side’, a reference to the role of Western interests in Ukraine’s unfolding political crisis. “It is necessary to see this in context of the U.S.– Russia struggle over Ukraine,” Joel Kovel, U.S. scholar and author of over 20 books on international politics, told IPS. “Geostrategic politics and neoliberal economics fit together within the overall plan …in which global finance capital under American control and neoconservative leadership imposes austerity, seeks dominion over the easternmost portion of Europe, and continues the policy of encircling Russia,” he stated. Gives organic farming instead of GMO Crops not more advantage to the workers and small farmers in Ukraine and to the population as a whole? With the good soil, there in Ukraine, Ukrainian farmers can achieve high organic yields. And one keeps the soil also good and biodiversity in a better position for generations to come. That’s something in which we in Europe and the U.S. unfortunately have largely failed in recent decades. It surprises me which position the World Bank and FAO have chosen here, concerning Ukraine. May we hope that they will change their mind.